2. History of the Brand: How Did Te Divina Start? 23. Verdict: Would I Recommend Te Divina? Losing weight and feeling healthy can be a difficult and long-term process. I know when I lost a massive amount of weight years ago, it was often a problem to find the motivation to keep going, especially if you’d spend days or even weeks watching portions, counting calories and still not seeing a decrease in the number on the scale. For an extra boost in weight loss efforts, detox teas are becoming an increasingly popular option for people of all ages, sizes and genders. One of the most popular detox teas available right now is known as Te Divina. Look for Te Divina review and you will get to know why this detox tea claims to help with weight loss and energy levels, encouraging its users to feel healthy, vibrant and divine. It is a detox tea, which is purported to help cleanse the colon and digestive tract of harmful toxins and leftover bile. When it does this, the company claims that users will feel energized and lose weight. The product comes in the form of loose tea leaves that you will infuse into a glass of hot or boiling water three times a day for maximum results. 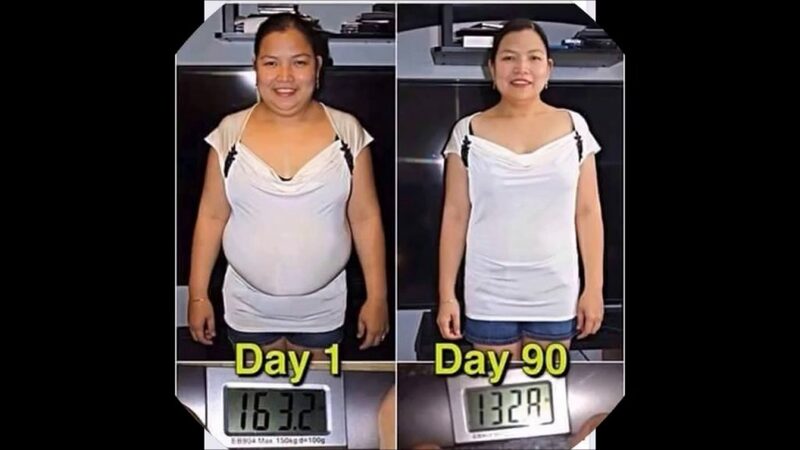 While there are no scientific claims made for Te Divina, many users have found the product to be advantageous in their weight loss and health goal efforts. From all of the buzz around Te Divina, I was anxious to look into Te Divina review myself to see why it is so popular. Te Divina is a product manufactured and produced by a company known as Vida Divina. The company has two main locations: California and the UK. They sell their wide range of products all over the world. The company is run by Armand Puyolt, who is reported to be a sales and marketing genius, along with his wife, who is supposedly the health guru behind the brand. The company offers its products to be sold by independent contractors and sellers, which means that you can choose to buy your detox tea either from their site directly or from an independent local consultant. This provides career opportunities to those who wish to sell health products to individuals for a small commission. Along with Te Divina, which is the company’s number one selling product according to most positive Te Divina review, Vida Divina also offers Cafe Divina, Weight Control capsules, Nutritional Supplements, Skincare Products and Pet Supplies known as Vida Pets. While the company is quite successful in many of its other product lines, this one is still the top-selling option for individuals who are buying from the brand. In fact, it’s been estimated that thousands of people have already used this detox tea with fantastic results. The proprietary ingredients found in this detox tea are 100 percent certified organic, according to the company and Te Divina review. The ingredients used include blessed thistle, holy thistle, persimmon leaves, Malva leaves, ginger, cranberry, myrrh, papaya, chamomile, fiber, Ganoderma, marsh mallow and Siberian Chaga. Combined, these ingredients are reported to help cleanse the digestive system of all remaining toxins and built-up bile to improve weight loss efforts and energize the body. The company claims to produce products to help users live better and more “divine” lives. Every product we offer is infused with antioxidants and extracts from 25 super-foods. The Te Divina detox tea, as well as all of its other products, are manufactured in the heart of Mexico City, where the company holds ownership of the manufacturing facility. Because of having the ability to both own and operate the facility, Vida Divina is able to keep track of ingredient dosage and quality assurance. This results in a stable and reliable product, which is also stated in Te Divina review. Te Divina detox tea is ideal for those of us who want to lose weight and feel more energized. Look for Te Divina review to know more. In many cases, being able to lose weight easily at first, especially when consuming a simple and organically-made drink, can motivate people to lose even more weight. This detox tea is also great for individuals who want to feel energized and live in a healthier state. The product can help those who deal with stubborn belly fat and bulk. The tea works because users are instructed to consume it at least three times a day. On the website itself, it says that you will drink the tea with lunch, with dinner and with a snack or breakfast. The unique blend of organic ingredients helps to flush out the digestive tract, almost acting as a laxative. Many users claim that after the first few days of having to use the bathroom constantly thanks to the tea, their bodies automatically adjust while still experiencing weight loss. Some have claimed that Te Divina does not work any better than taking a laxative and that any weight lost is just water weight. However, user experience seems to vary greatly, with some people swearing by the product and others claiming that it didn’t work for them. 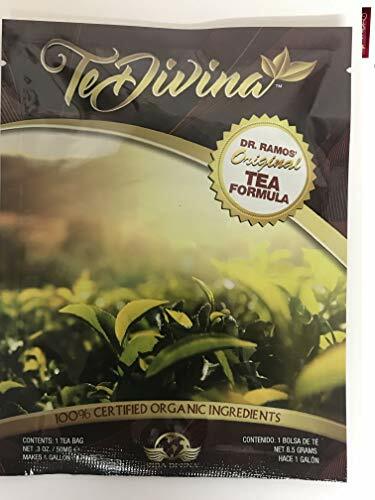 Te Divina says it cleanses the intestines, detoxifies the liver, removes undigested waste, removes toxins, parasites, worms, chemicals, and heavy metals, lowers cholesterol, regulates blood pressure, regulates blood sugar. supports respiratory health, supports digestive system, reduces menstrual symptoms, Improves sleep. 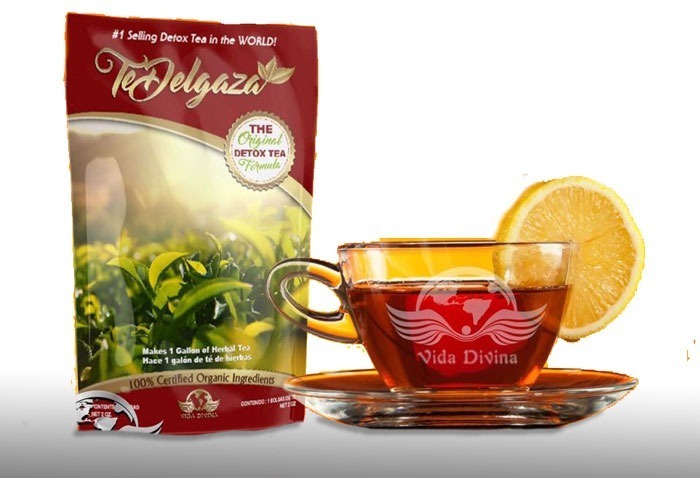 Vida Divina claims that the detox tea will help to cleanse your mind and body. They also claim that all of their products are infused with antioxidants and extracts from at least 25 super foods. Vida Divina also claims that all of the ingredients being used in their products are 100 percent certified organic. However, despite all of the claims that the company has made, nothing has been studied or approved by the FDA, which puts into question if their claims are true or not. The ingredients in this detox tea are designed to work together to cleanse the body’s digestive tract, which removes built-up bile, waste and toxins. In a way, you can think of Te Divina as a gentle laxative, as ingredients like fiber and marsh mallow promote a laxative effect. Because the ingredients are, according to the company, organic, you will not need to worry that you are consuming highly-processed herbs and ingredients. Taking Divina detox tea is relatively easy and can effectively be integrated into your daily routine. According to the company, you will take 4oz of tea in the morning with your breakfast or mid-morning snack. For lunch, you will consume 8oz of the tea and another 8oz of tea at dinner. Most users have stated that when you first start using the detox tea, it’s important to have ready access to a bathroom because of the laxative effect. Vida Divina has made it practically foolproof to use their detox tea. If you travel a lot, the tea can be consumed either hot or cold and still have the same effect. You can also refrigerate the tea, which allows you to prepare it in advance and have it fresh and ready to consume. It’s important to allow the tea to steep for anywhere from four to six hours for it to fully infuse the water that you’ll be drinking. Boost Energy, And Assist With Weight Loss. 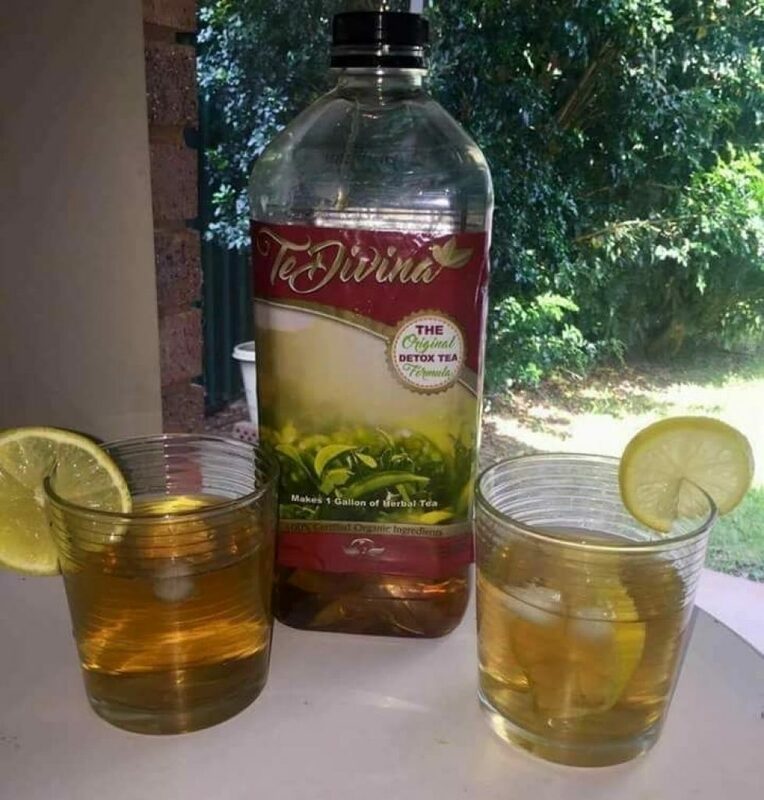 There have been no scientific studies done on Te Divina detox tea and the company states that it makes no medical or health claims. Users are given the permission to try the product at their own risk. The success behind using detox teas is still mixed within the medical community. When I was able to look through hundreds of reviews online that have been written by people using the tea, I found that the results were mixed. 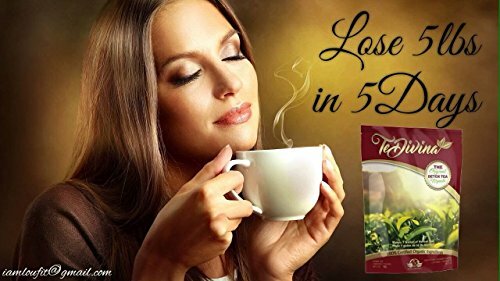 Many people consuming the tea have claimed that not only did it help them to lose a lot of weight in a short period of time, but their energy levels were better than they had been in years. 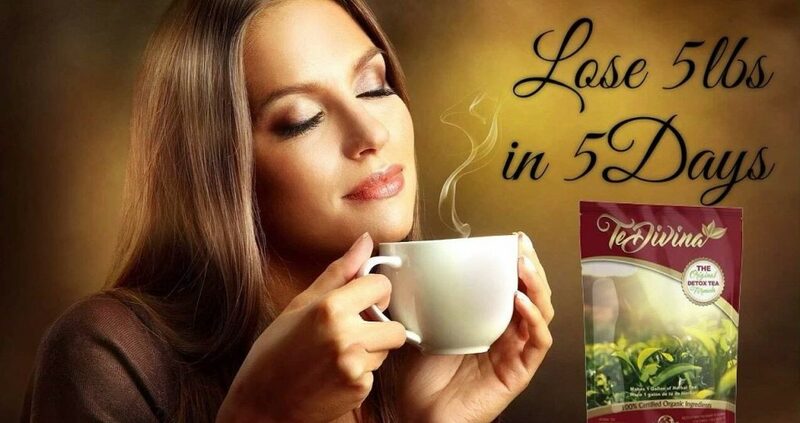 Other reviewers of the product stated that the tea was nothing more than a liquid laxative and that they were in and out of the bathroom for hours after consuming the tea. Vida Divina is not accredited by the BBB and has just a one and a half star rating out of five stars with a rating of F. With the mixed reviews on the BBB website, the company personally responds to most reviewers explaining their experience with the business. While the company gets mixed response online, they have not had any lawsuits since establishing the business. One of the most common side effects of using Te Divina is diarrhea. Some users have also stated that they experience nausea and stomach cramping, probably due to the digestive tract reacting to the ingredients within the detox tea. The product is relatively safe to consume, but I recommend that you keep plenty of water handy when drinking the tea because of its laxative effect. Also, it’s not recommended to use the tea if you’re pregnant or nursing. Also, because of the laxative effect, it can cause oral birth control to be less effective because it is unable to be absorbed by the body quickly enough. There are no warnings given by Vida Divina on their site other than that users will experience different results. What they mean by this could be side effects as well as benefits from using the detox tea. Users will have to consume the tea at their own risk. It is important to discuss usage of the tea with your doctor before trying it. Some of the ingredients within the tea itself could cause an allergic reaction in some individuals. For example, the myrrh and Ganoderma can cause an allergic reaction in high doses, which includes a sore throat, itchy and rashy skin as well as trouble breathing. If you are aware of the ingredients in the product and know that you have had allergic reactions in the past to any of these ingredients, you should not consume the product. Te Divina can be combined with pretty much any diet. Whether you’re following a Keto diet, vegan diet or low-caloric diet, it can blend perfectly with your weight loss efforts and maximize results. The tea is relatively low in calories and is certified organic. The product contains no animal products and no animal testing. While it claims to be the original detox tea, there are now dozens of other detoxification teas on the market. Some of its competitors include Bootea, SkinnyFit, Fit Tea and Skinny Mint. Each product works similarly to Te Divina because of the ingredients causing a laxative effect. You can purchase the detox tea either directly from Vida Divina themselves or through one of their independent consultants. Vida Divina does not offer a specific return or trial period on their products, however, many independent consultants will. One consultant online claimed to offer a 90-day money back guarantee when purchasing through their store’s inventory. Pricing varies for Te Divina products. On their website, a six-pack of detox tea sells for $60. People on eBay are selling the tea for as low as $10 for a six-pack. It seems that price will vary depending on where you’re buying the tea. 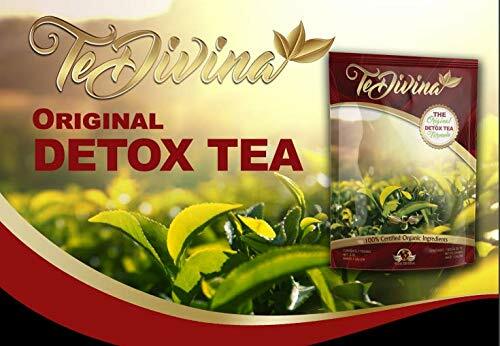 Among so many of the other detox tea products out there, Te Divina seems to be the oldest and most well-known. When researching the brand and product, there are dozens of YouTube videos of users making claims for the tea and posting their before and after photos. Personally, I think that the tea can and will work, as long as users are cautious because of its laxative effect. I like that the ingredients in the tea are organic, as a lot of detox teas on the market right now use synthetic or heavily-processed herbs. When consuming the tea, you need to see how your body is reacting to it and stop using it if you find you’re getting really sick from it. Make sure to drink plenty of fluids and eat a healthy and sensible diet along with exercise. I believe that, when combined with a wholesome diet and exercise program, the product can work for most people.